In 2018, deposits made by residents of Latvia and other European Union member states made up 91% of all deposits held by Latvian banks, LETA was told at the Financial and Capital Market Commission (FCMC) whose representatives cited fourth-quarter data on the Latvian banking sector’s transformation process, reported LETA/BNS. The change of the Latvian banking sector’s business approach and focus, which was launched in 2016 at the regulator’s instructions, is now in the finishing phase. A number of complex measures that were implemented in 2018 substantially changed the Latvian banks’ client base and enabled the launch of new business strategies, which basically provide for concentration on serving domestic and EU clients. In 2018, domestic and EU deposits dominated in the Latvian banks, reaching 91% of all deposits held by the banks. Of this money, 80% had been deposited by Latvia’s residents, 11% by residents of other EU member states and 9 % by clients from other countries. At the end of 2018, the share of non-resident deposits was 20.3%, down from 20.5% in the third quarter of the year, while domestic deposits have continued to grow steadily in recent years, reaching EUR 13 bn by the end of last year. As the banks have been giving their non-resident business, the share of foreigners’ deposits has dwindled from 53% in 2015 to around 20%, the FCMC said, adding that the process was already stabilizing. 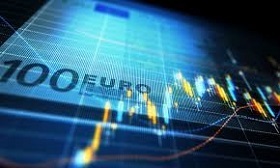 The euro has established its position as the dominating currency in bank payments in Latvia. In comparison with 2014, foreign clients’ payments with US dollars have shrunk more than 20 times, hitting the all-time low in the two last quarters of 2018. FCMC chairman Peters Putnins noted that the business environment had changed as money of domestic origin was now dominating in the market.